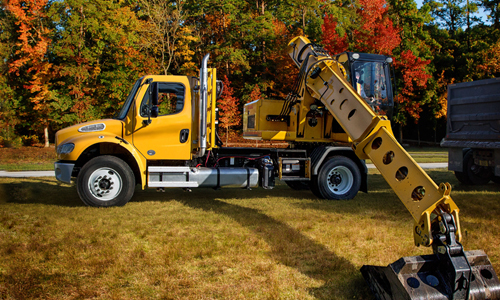 Available as a truck or tractor, the M2 106 supports a wide range of bodies and chassis-mounted equipment. 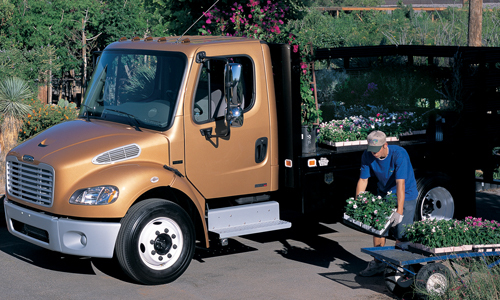 Both stylish and practical, it has a GVWR of up to 66,000 pounds that produces results. 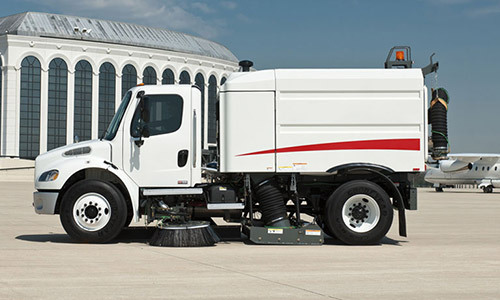 With an up-to-55-degree wheel cut and swept-back bumper, the M2 106 provides excellent maneuverability in tight situations. The M2 106 features a tilted hood for easy access to engine and other components, making inspection and routine maintenance hassle-free. A spacious and ergonomic interior with ample storage makes the M2 106 a great place for drivers to work, helping them stay comfortable and productive throughout the day. Versatility comes standard in the M2 106, making it the perfect platform and truck of choice for a variety of applications. 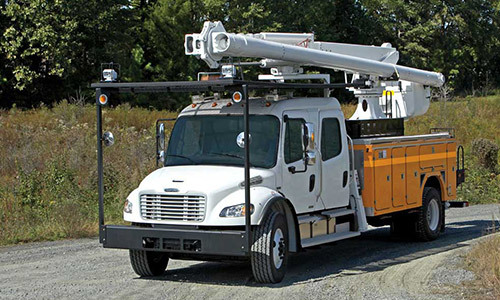 Freightliner designed the M2 106 with your business needs in mind and engineered it to offer hundreds of smart spec'ing solutions that reduce cost and time. 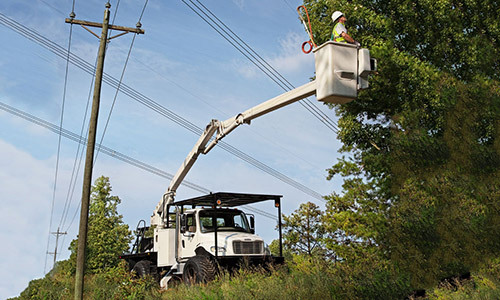 The M2 106 is flexible, efficient and maneuverable. With clear frame rails and a variety of exhaust packages, you can get the configuration you need for the job at hand. 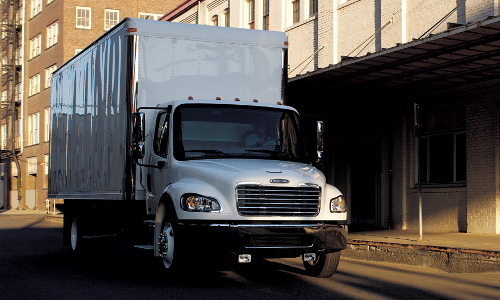 A sloped hood, low profile dash and a 2,500 square-inch windshield provide drivers best in class visibility. 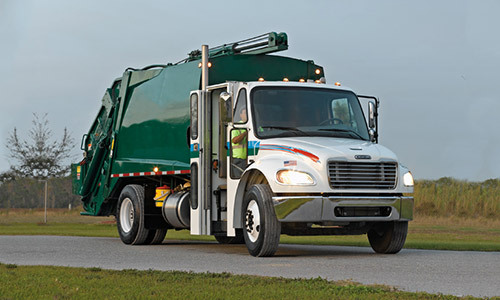 The M2 106 features a steel-reinforced aluminum cab for comfort and safety, and an optional SmartPlex® electrical system allows for the addition of safety interlocks to help prevent injuries and equipment damage. 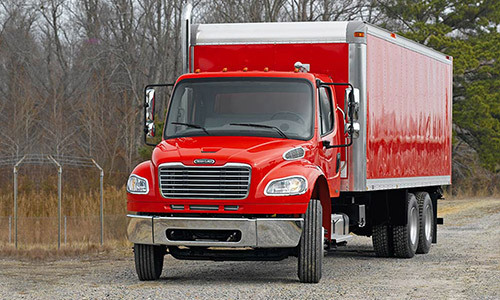 The suite of active and passive safety systems on Freightliner® trucks can help drivers mitigate risk. Among the available active systems is the Meritor WABCO OnGuard and OnLane, which provide collision mitigation and lane departure warning. Constructed from high quality and durable materials, the M2 106 cab is lightweight yet extremely tough, made from corrosion-resistant aluminum reinforced with with e-coated steel. Freightliner Trucks uses robotics and other automated systems to help produce precise, reliable, world-class vocational trucks. 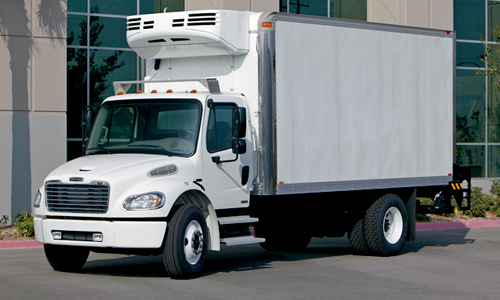 Strict, world-class quality control ensures that our vocational trucks will be on job sites for years to come. Factory laser alignment of Detroit™ axles ensures optimal performance, and pre-delivery inspections and/or DOT-level inspections are available by customer request. 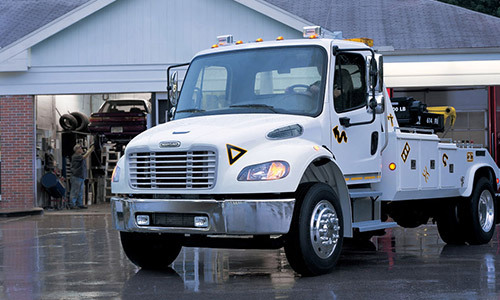 M2 106 trucks are relied on every day as fire trucks, ambulances and other emergency vehicles, so Freightliner has designed its vocational trucks for maximized uptime and reliability. 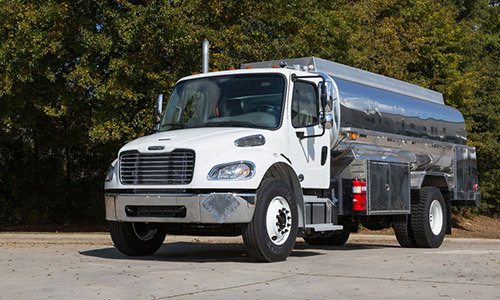 Increased uptime leads to increased profits, so Freightliner Trucks designed the M2 106 with great fuel economy and easy maintenance for maximum productivity with minimum downtime. 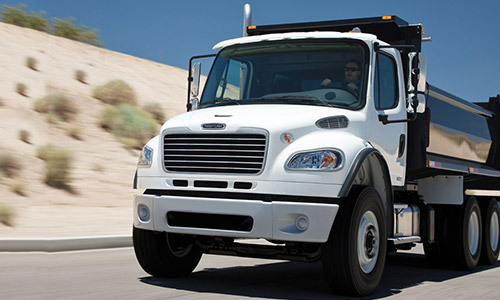 With more than 400 dealers across North America and a 24-hour assistance hotline, Freightliner's customer support network is always there to keep you operating at peak efficiency.